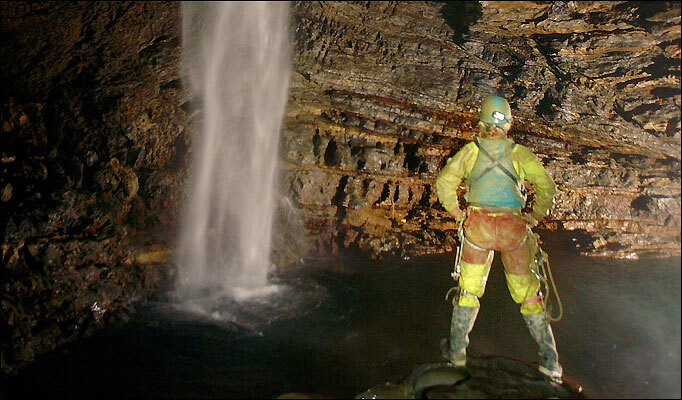 Is this the world's deepest cave? In China's mountainous village of Tian Xing, a team of British cave explorers say they have discovered the world's deepest underground shaft. Connected by two cave systems, Qikeng and Dong Ba, their combined depth measures an astonishing 1026m. Photographer Robert Shone spent two months with the climbers charting their discovery beneath Tian Xing. "I was invited to join an international caving expedition last September by a friend of mine, Richard Gerrish, who lives and works out in Hong Kong," said the 28-year-old from Manchester. "Along with a team of international climbers, we started our journey on the surface at the entrance of the Miao Keng underground caves. 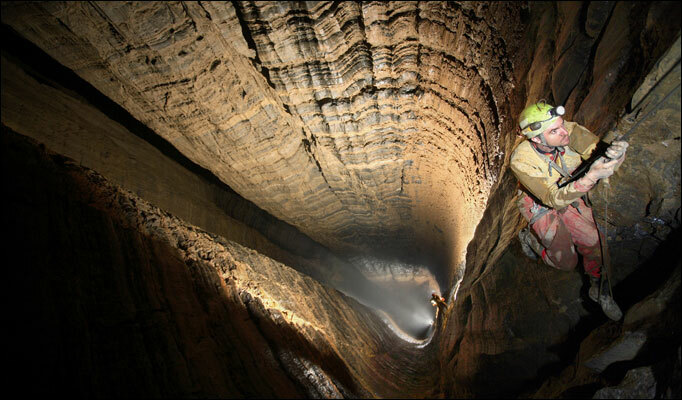 "Miao Keng (known as China's big shaft) is a 506 metre deep shaft and it would take two hours for us to make the descent." Camping underground for four to five-day periods the British team explored the tunnels and passages at the base of the Miao Keng shaft. "We were already aware of Miao Keng's 506 metre big shaft, but we wanted to explore further," said Robbie. 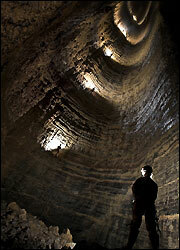 "When we reached the bottom of the big shaft there is only one way off into a stream way passage. "The entire cave system, from the surface of the big shaft of Miao Keng, to the lowest point of Dong Ba totalled more than 1026m in depth." An experienced climber, Robbie has worked as an abseiler all over the world.